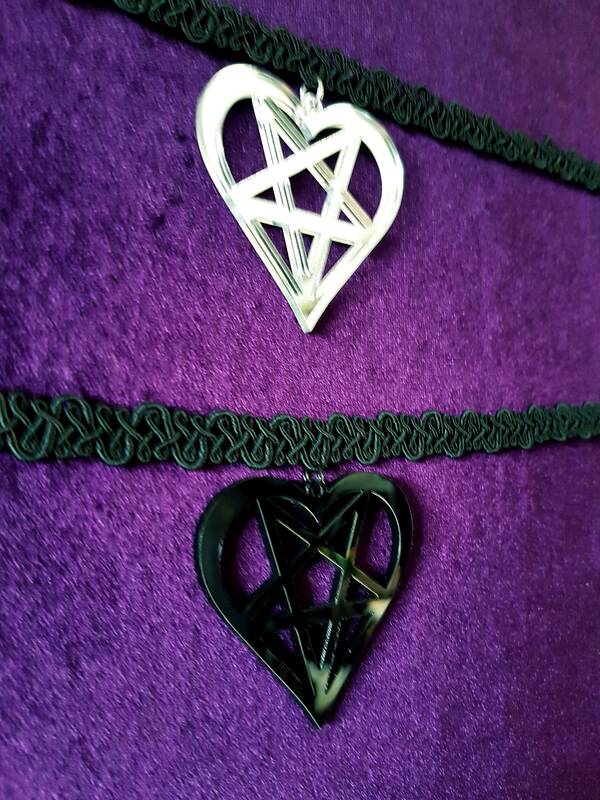 Lace Heart Chokers ( 2 Styles ). 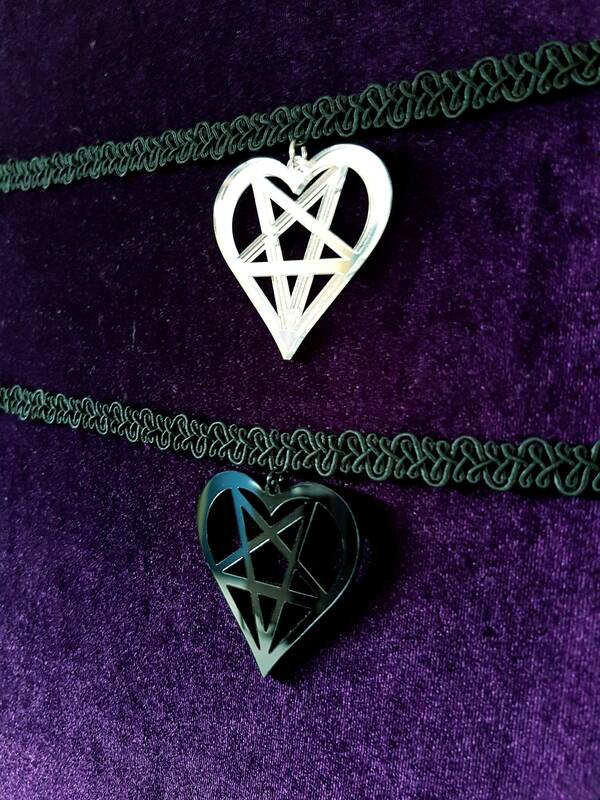 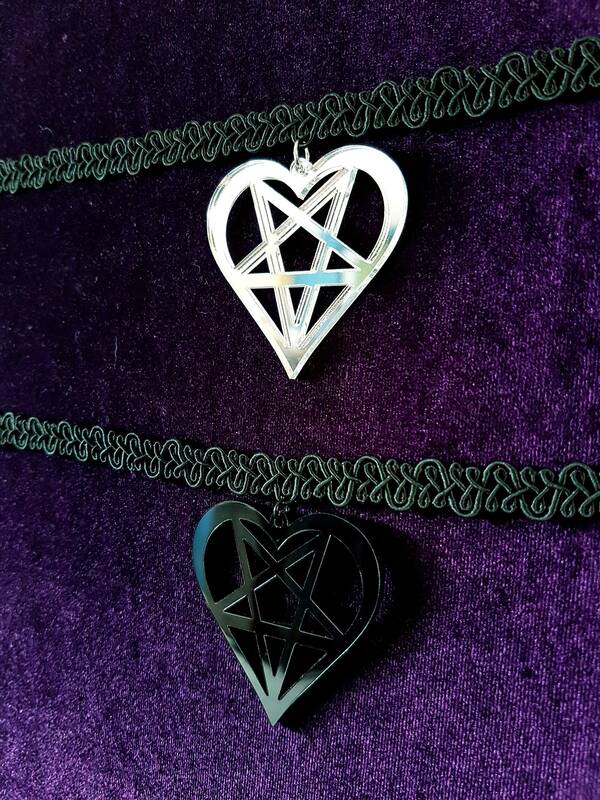 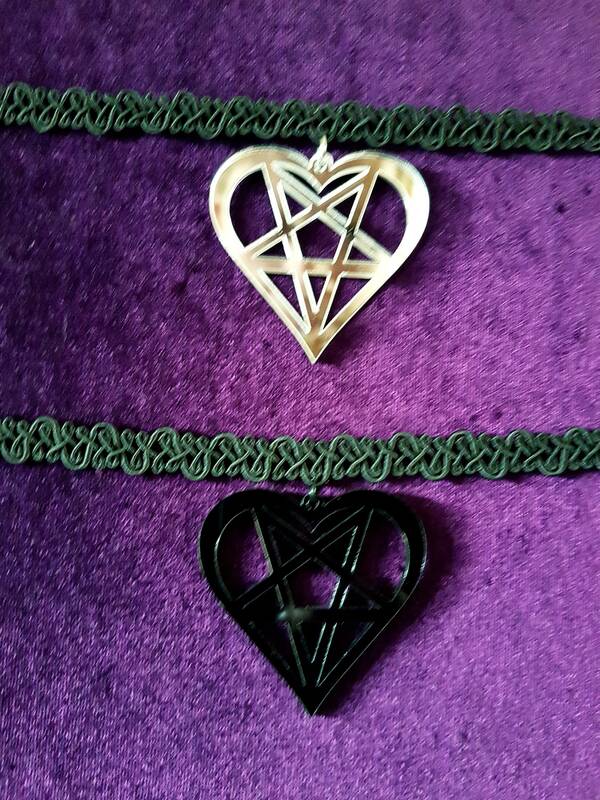 Lace - like chokers with a heart - pentagram pendant. 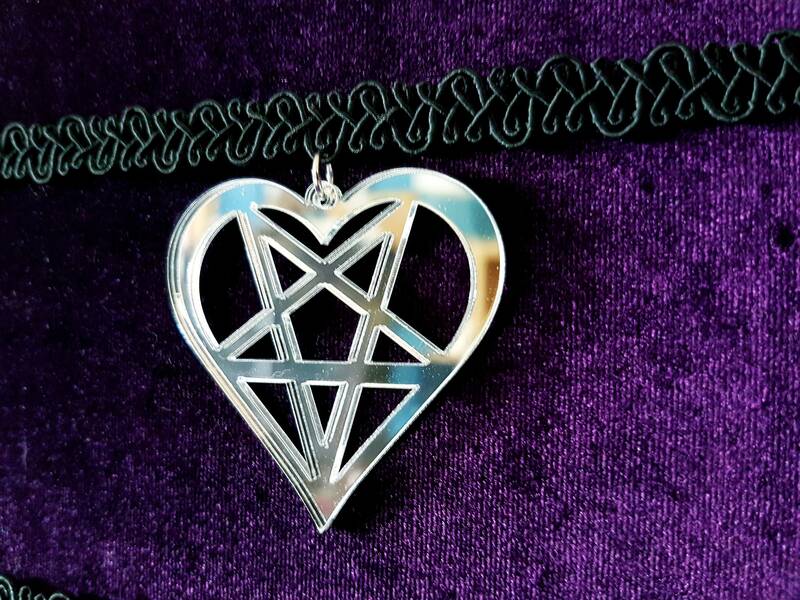 The fabric is a little stretchable. 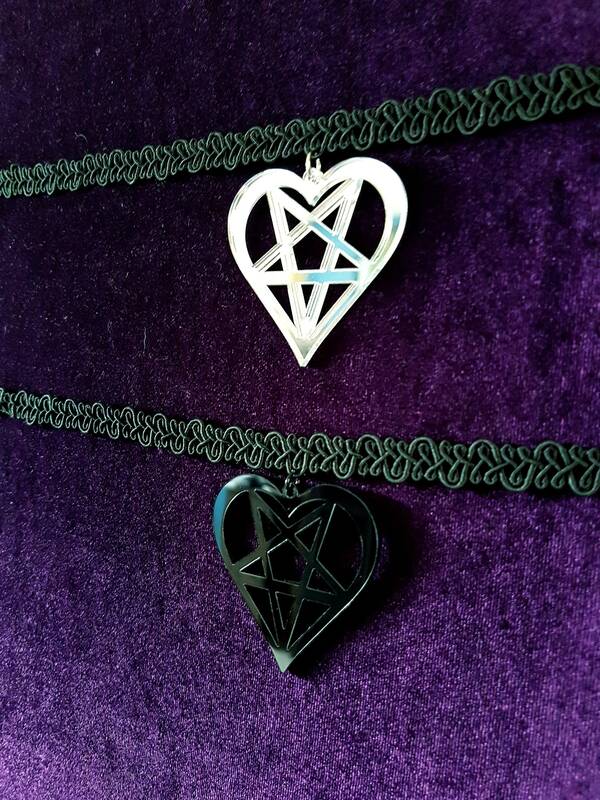 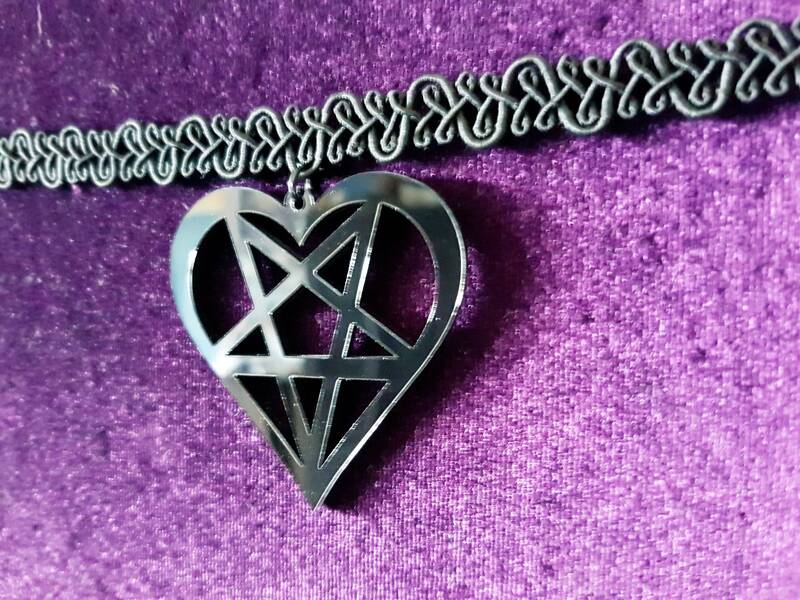 Black lace choker with mirror / silver heart-pentagram. 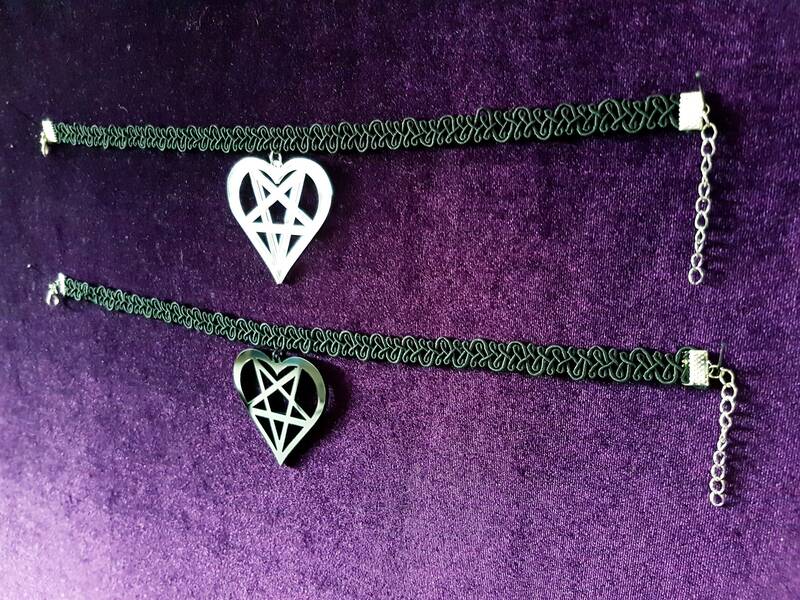 - 30cm in lenght + 5cm extension chain. 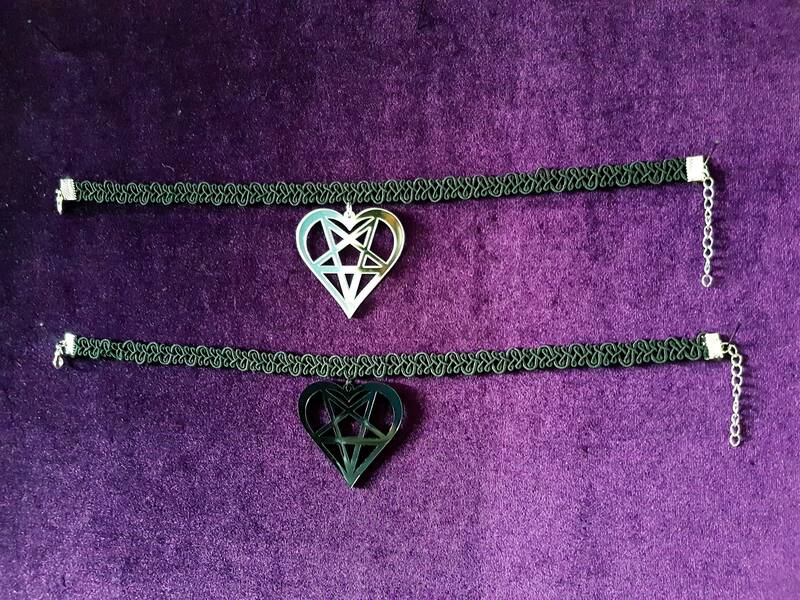 Black lace choker with black heart-pentagram.